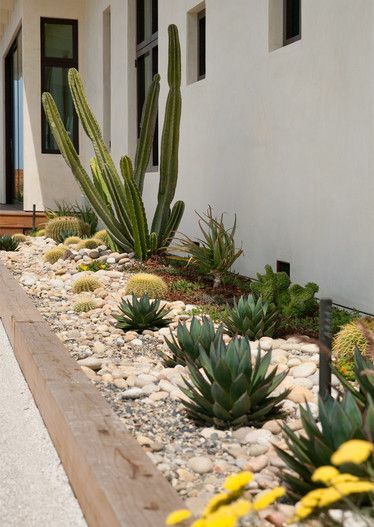 Sometimes just an architectural element or two can make all the difference when developing a modern design. 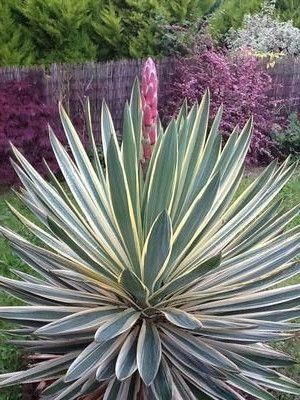 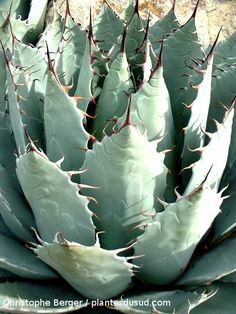 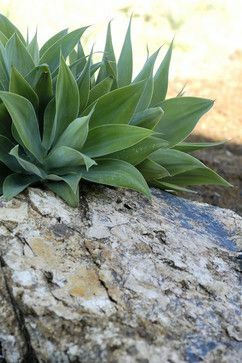 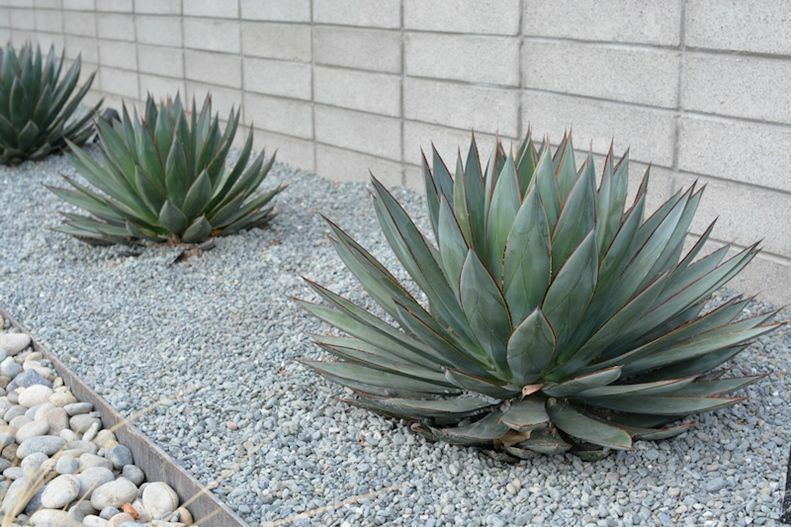 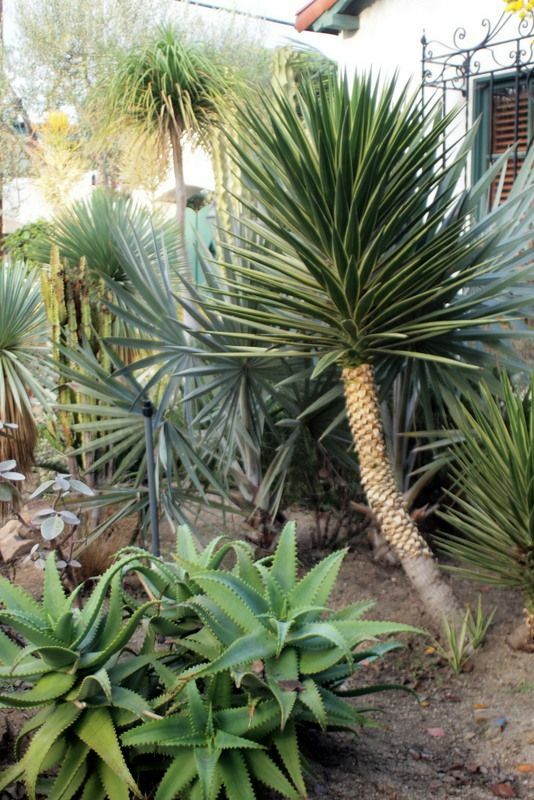 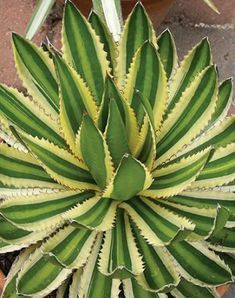 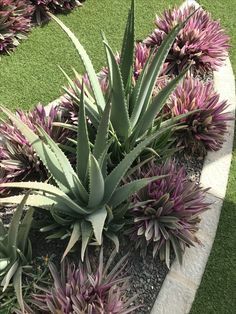 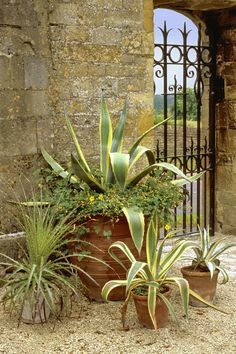 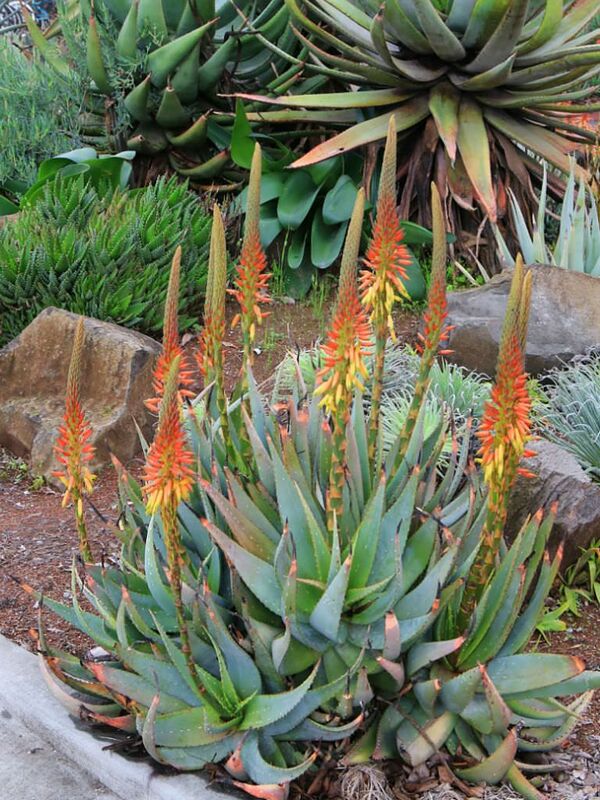 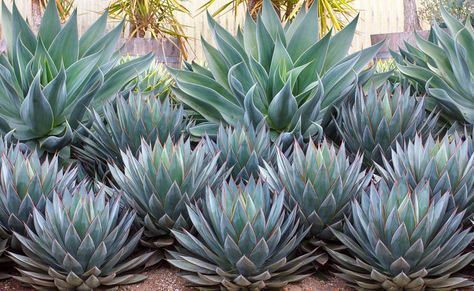 Agave Atenuatta . 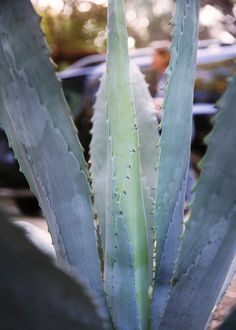 I love them but I can not find them in my area. 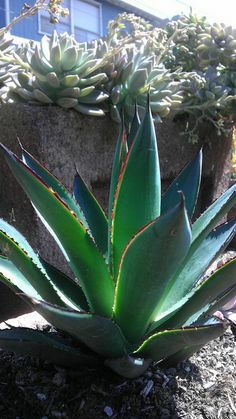 I bought one that was damaged, trying to nurse it back to health! 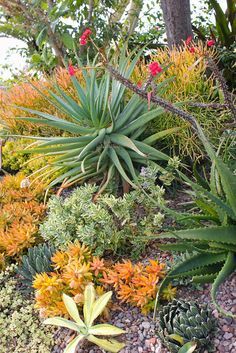 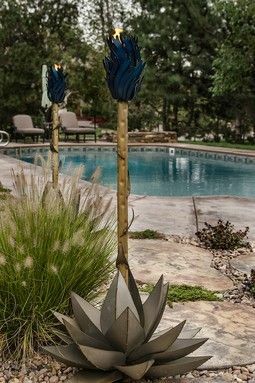 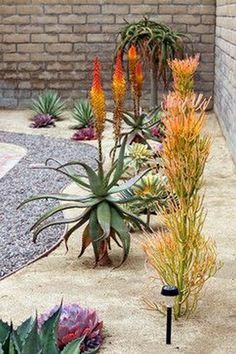 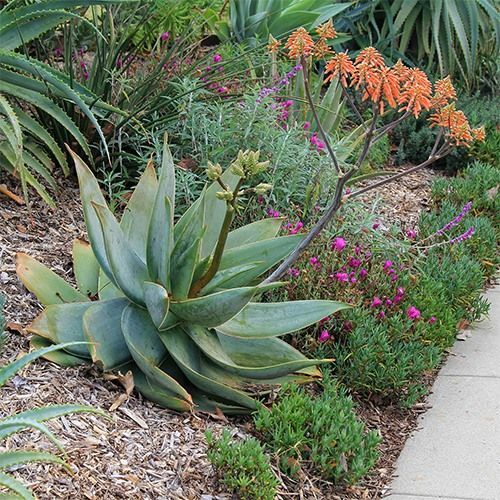 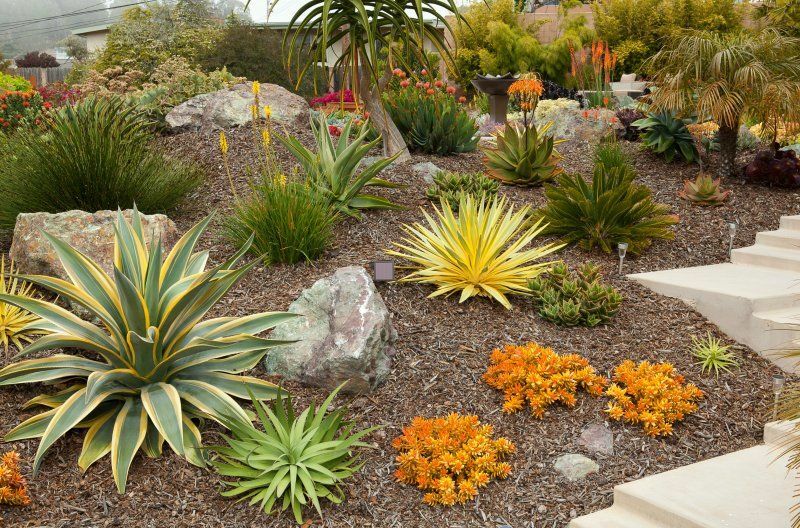 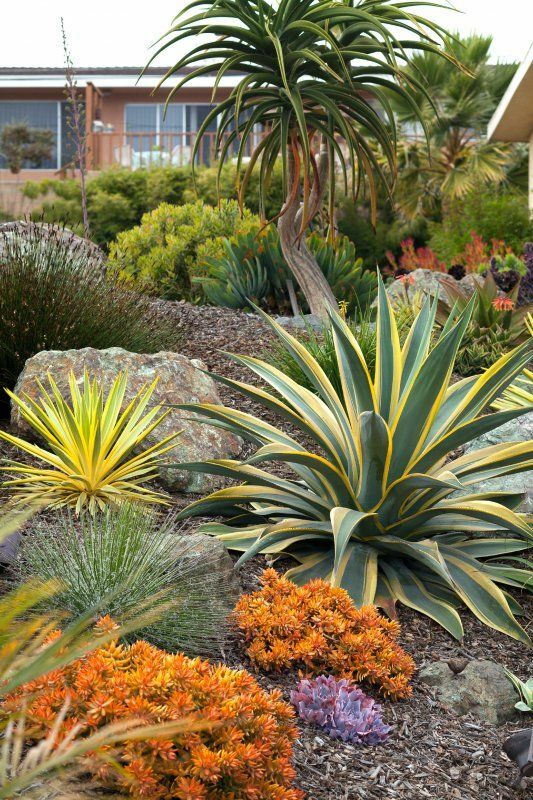 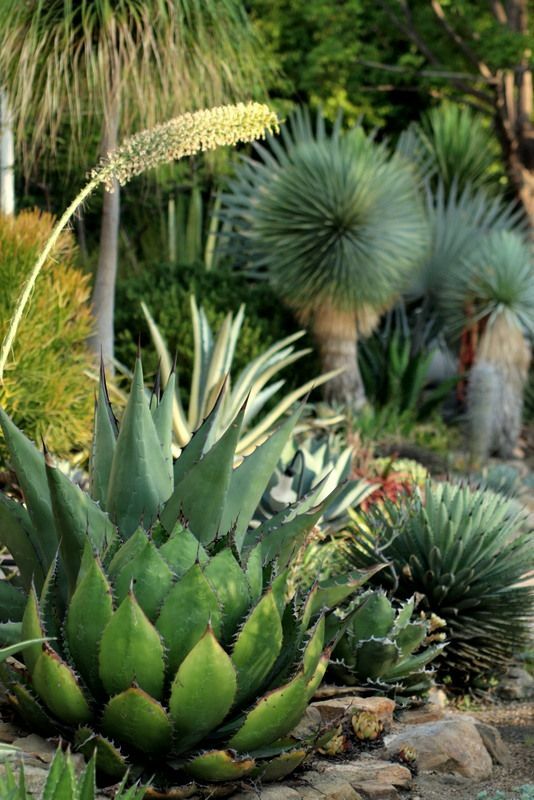 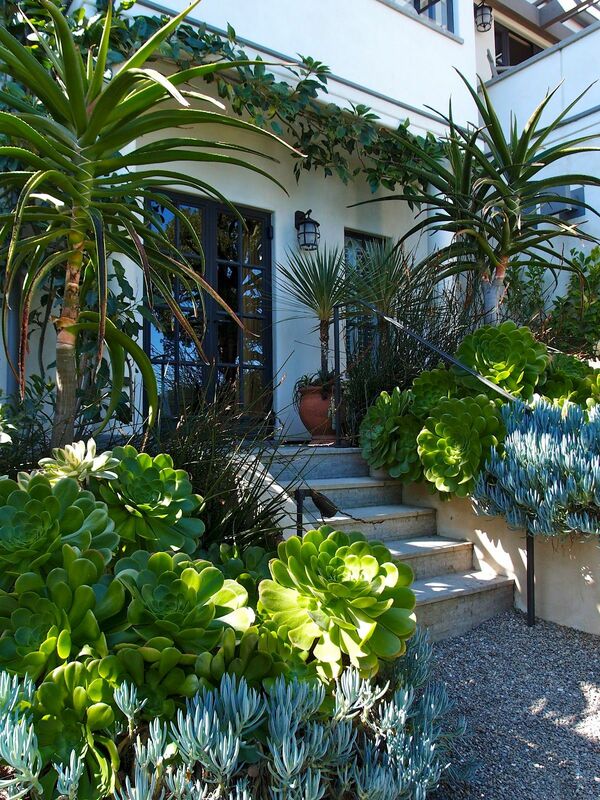 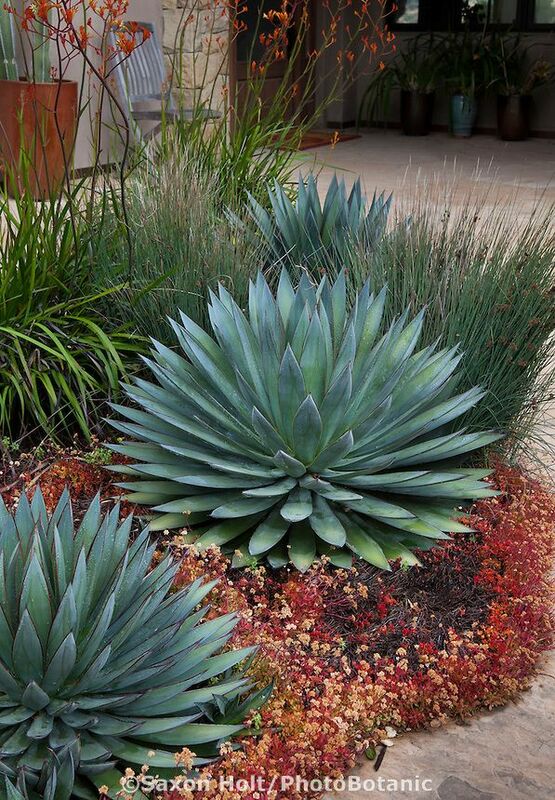 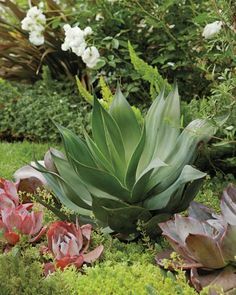 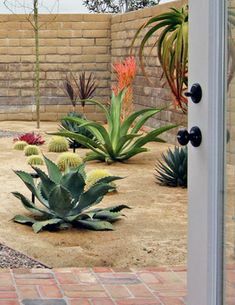 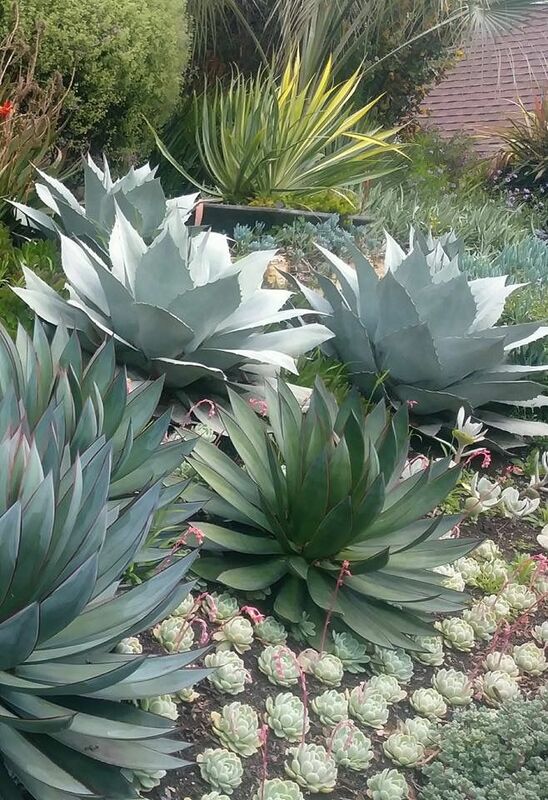 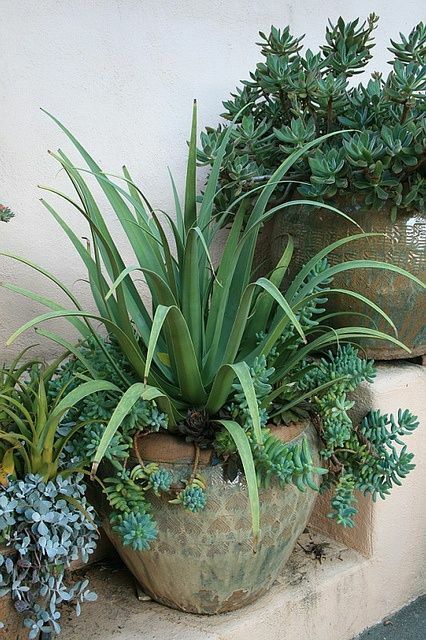 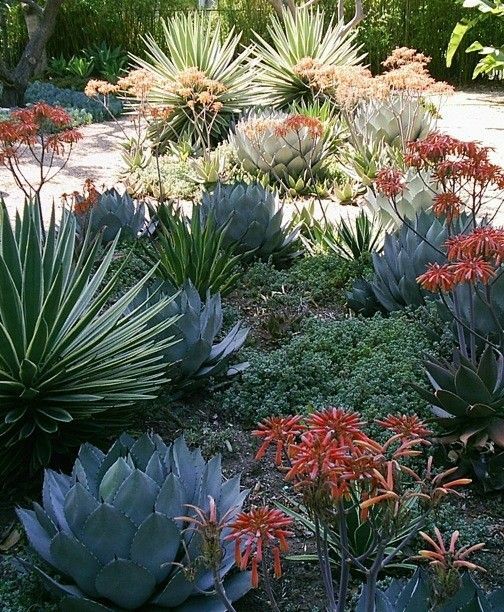 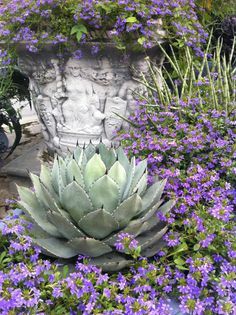 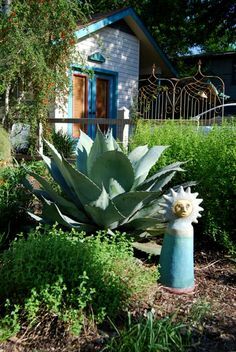 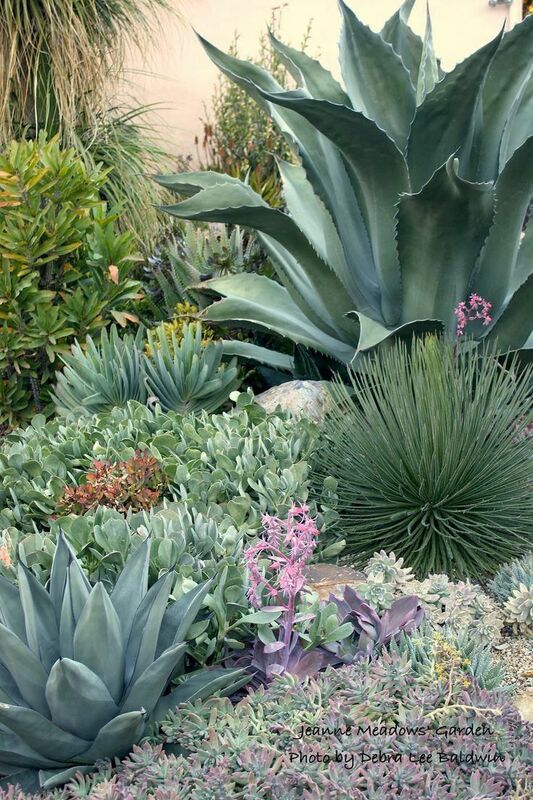 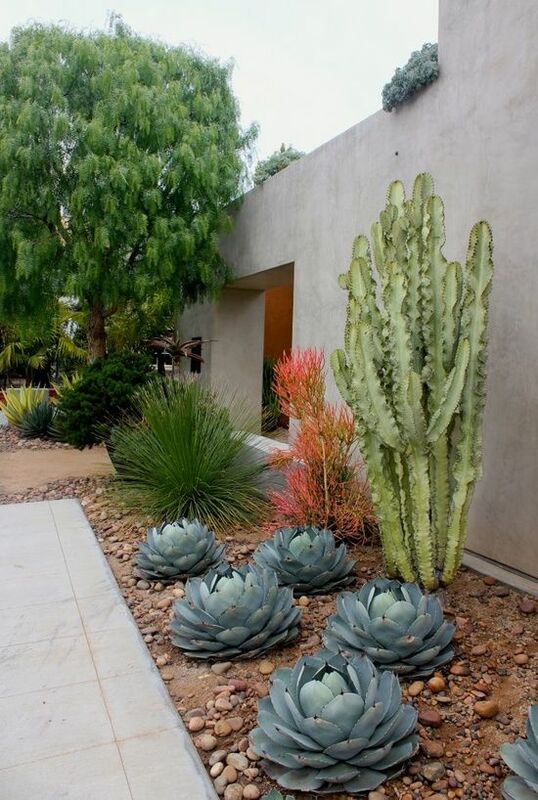 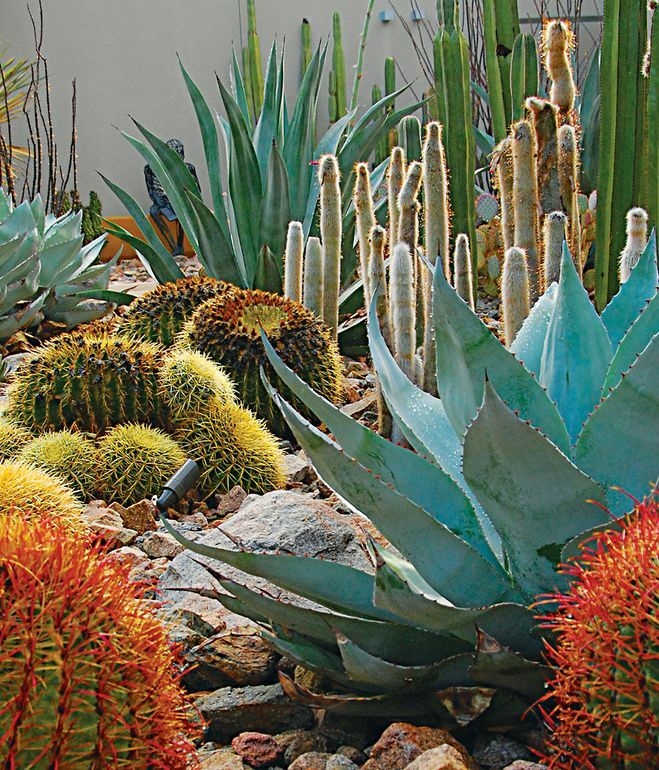 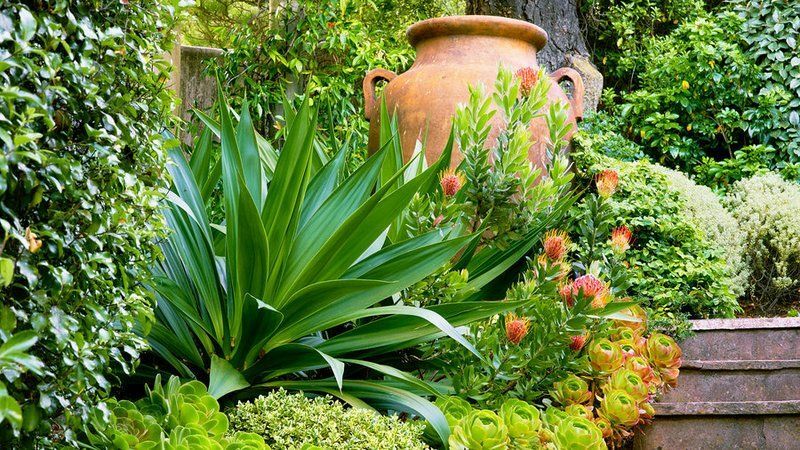 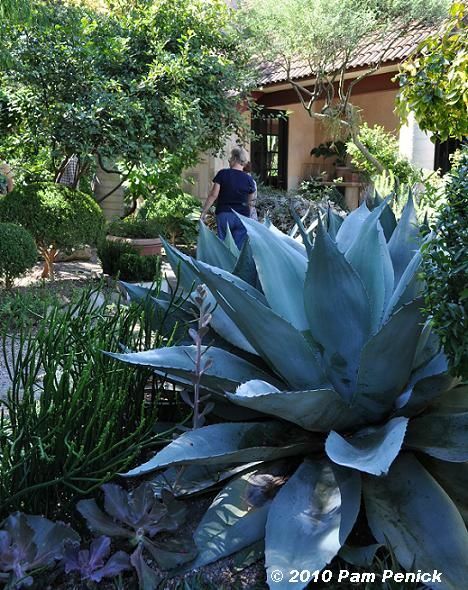 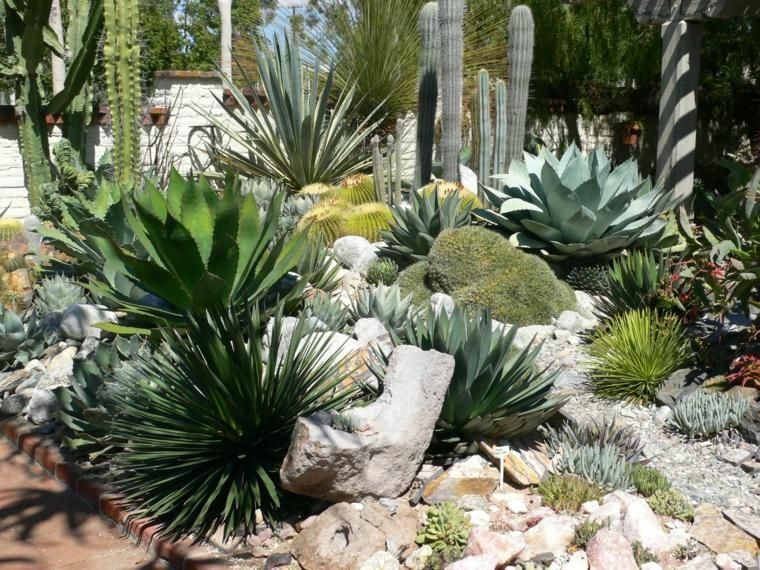 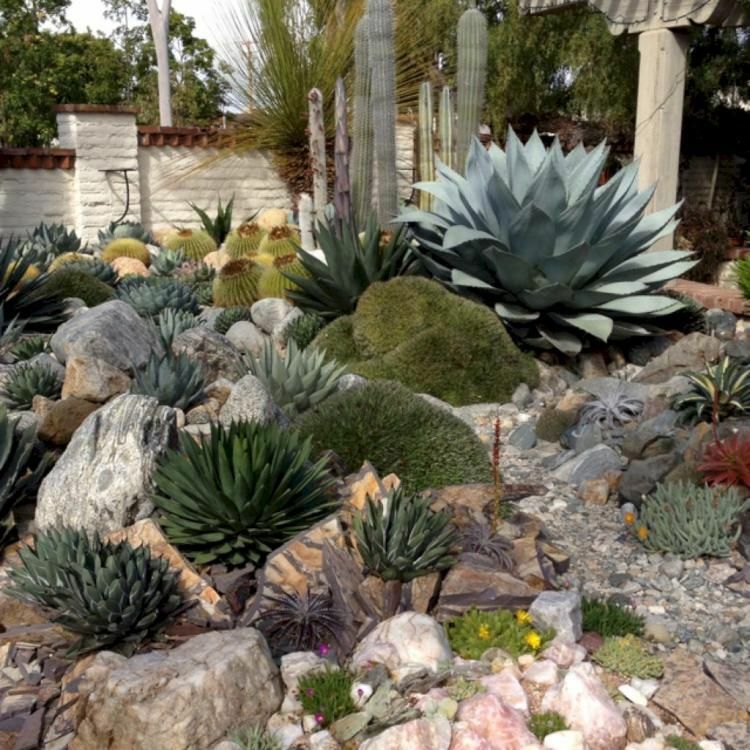 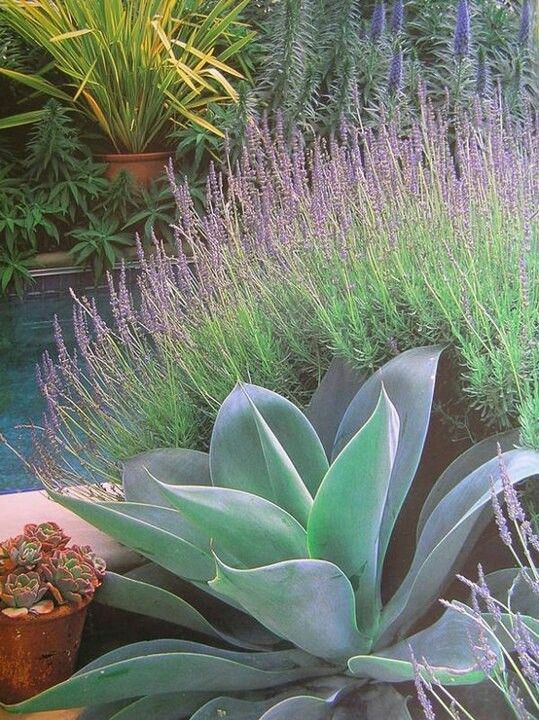 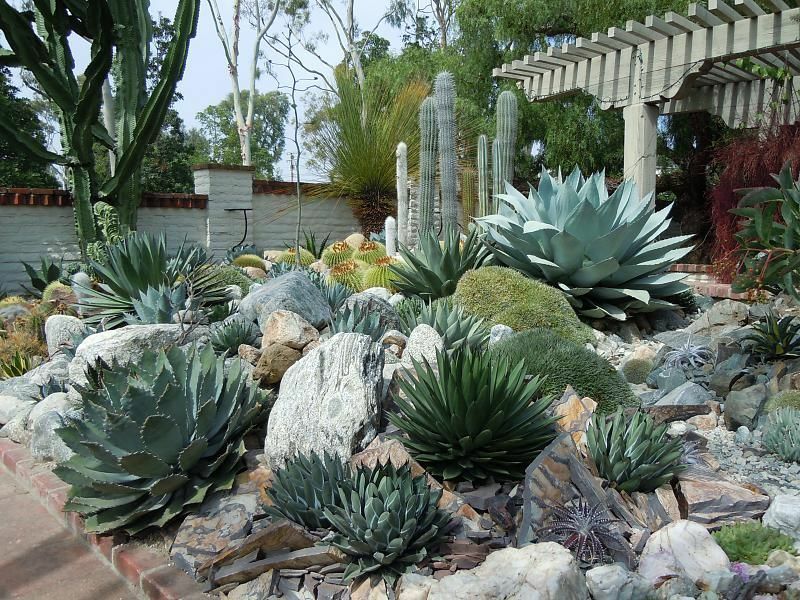 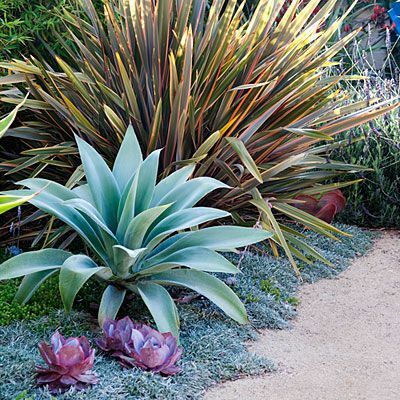 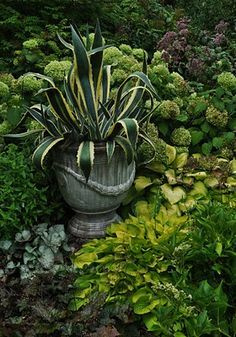 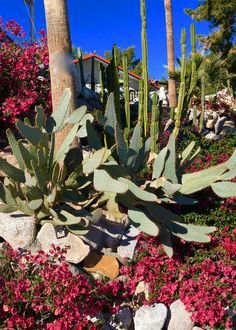 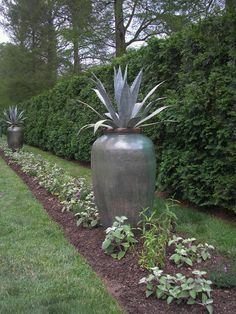 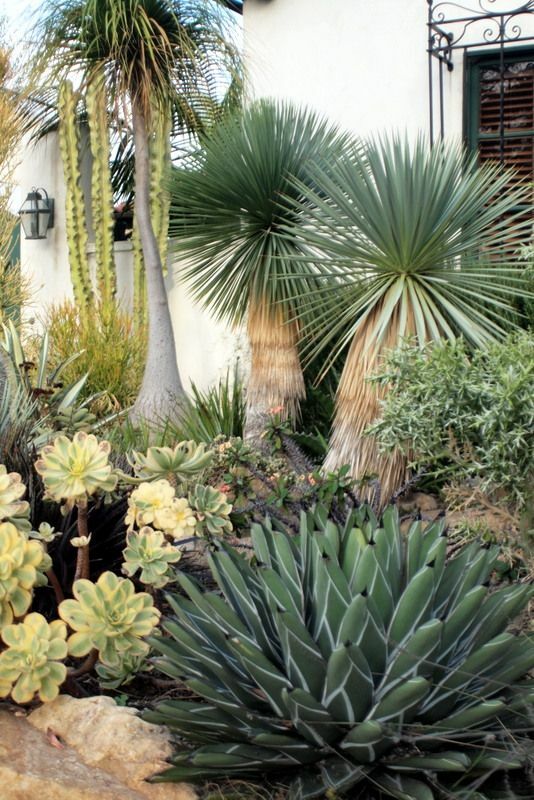 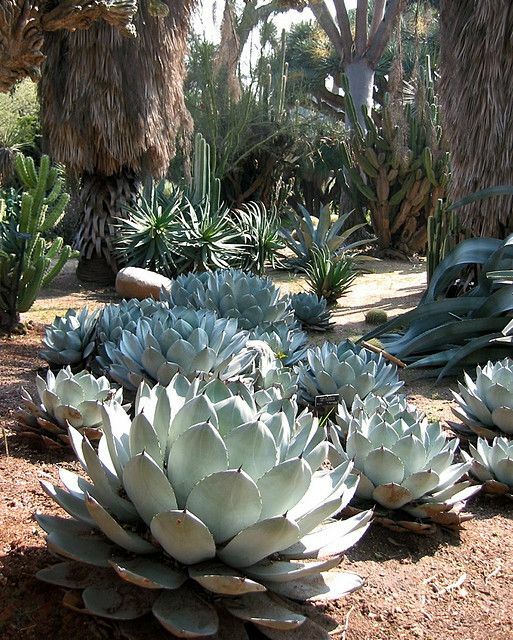 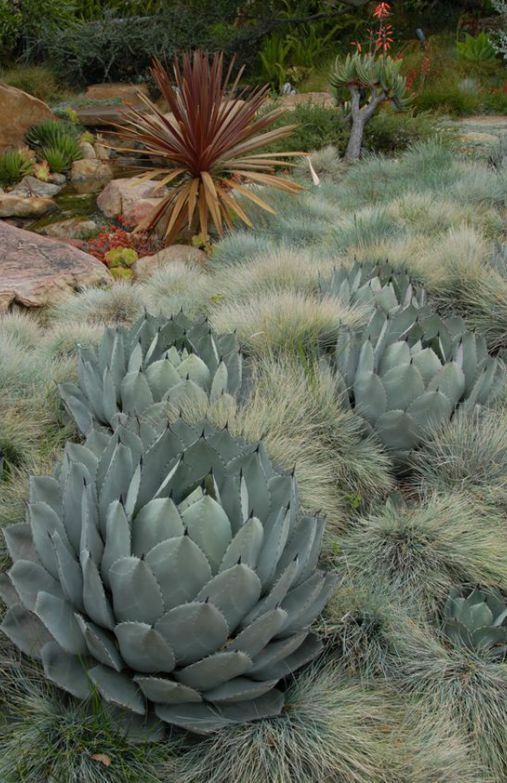 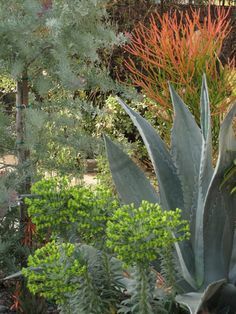 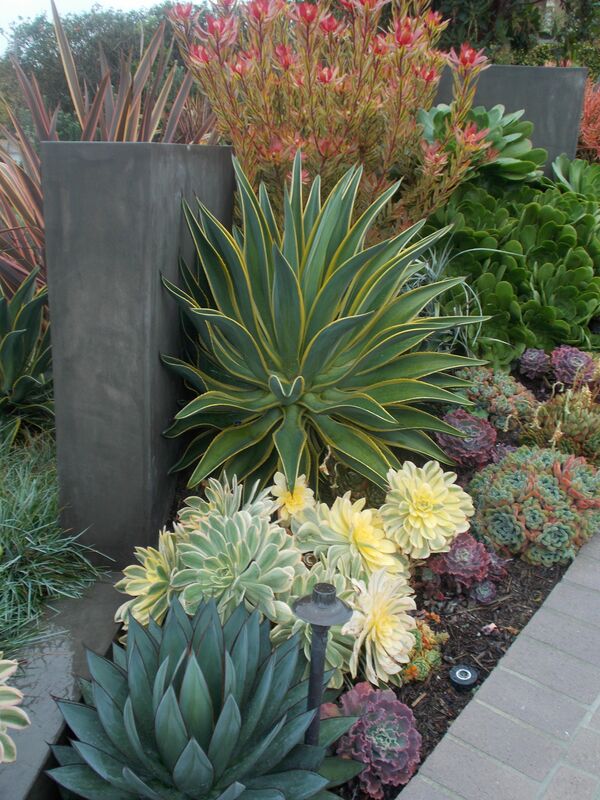 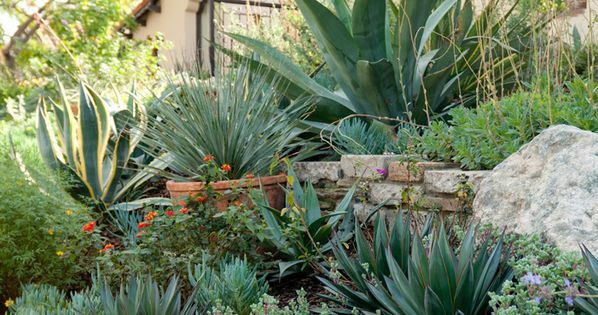 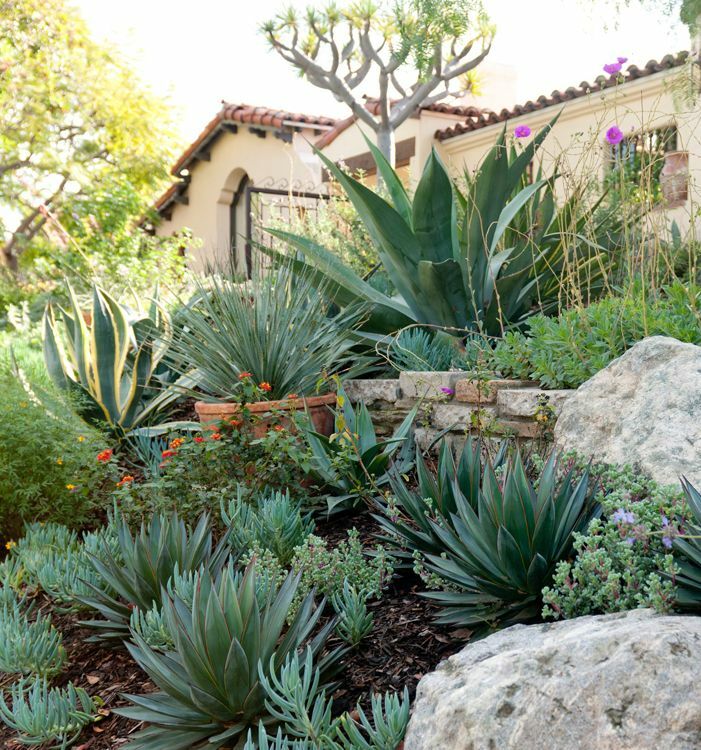 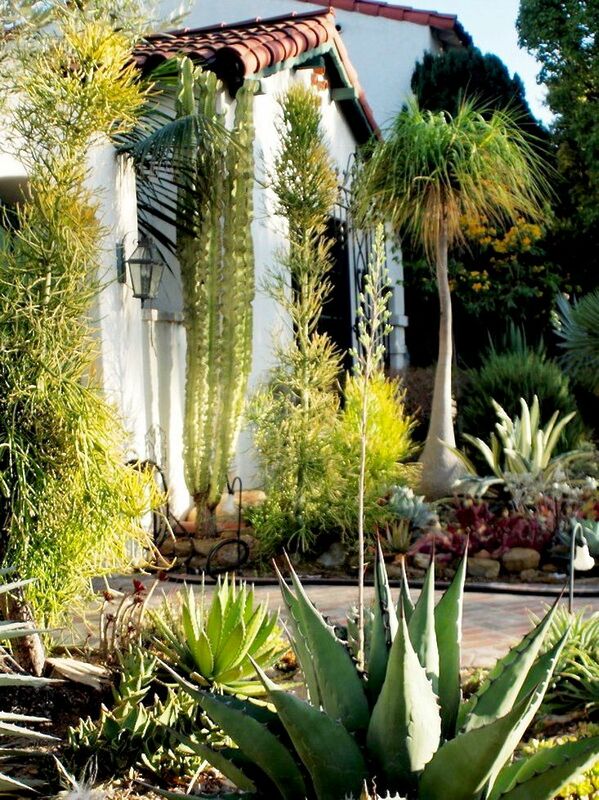 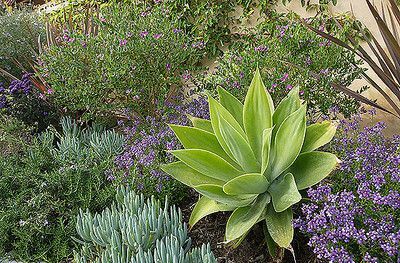 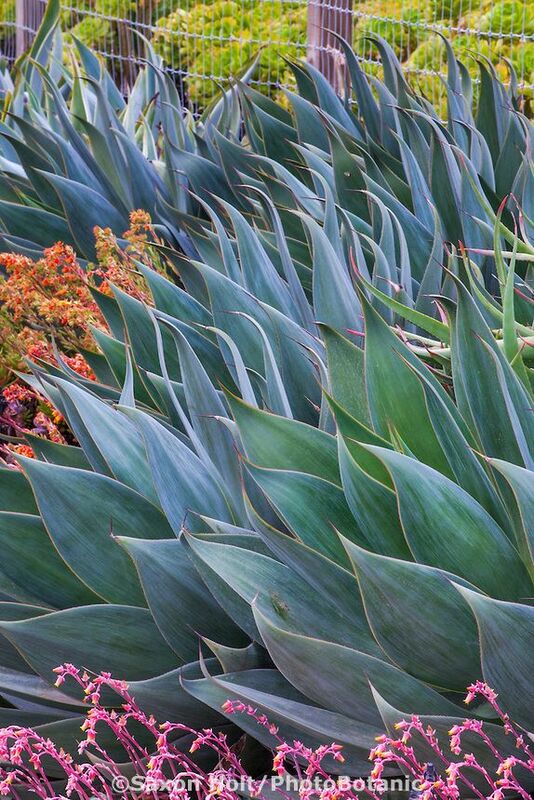 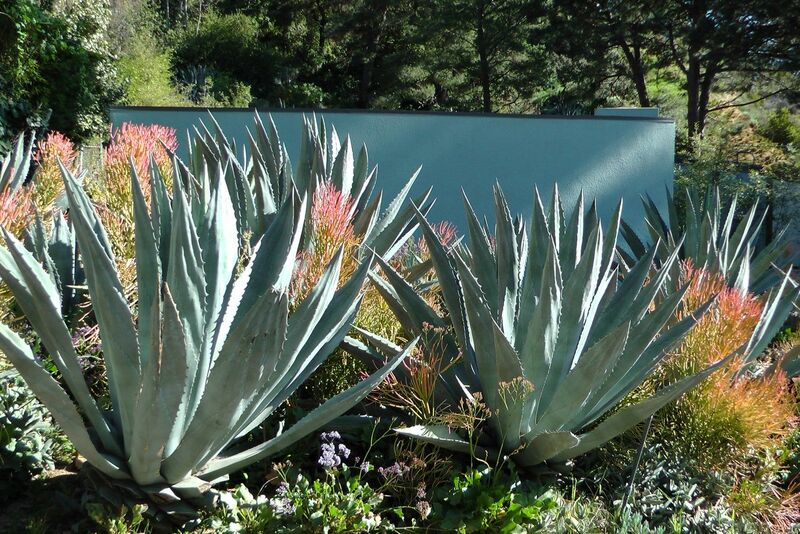 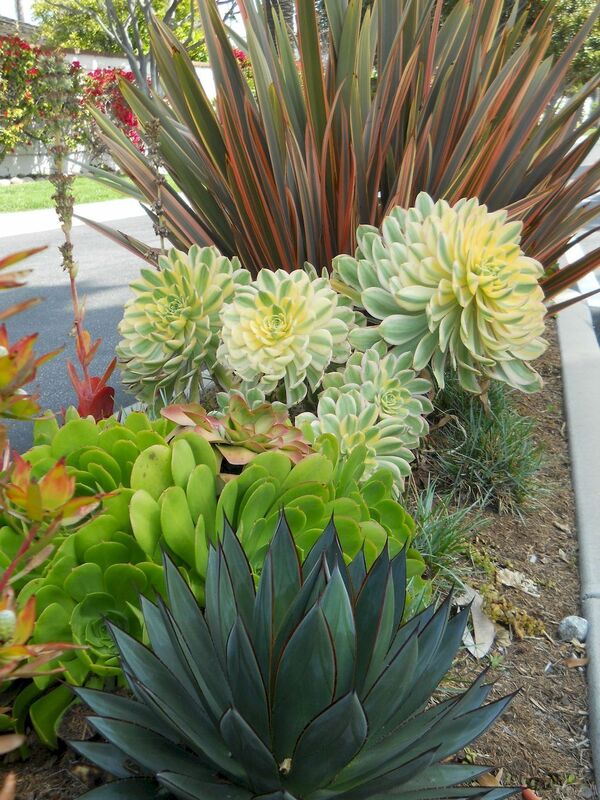 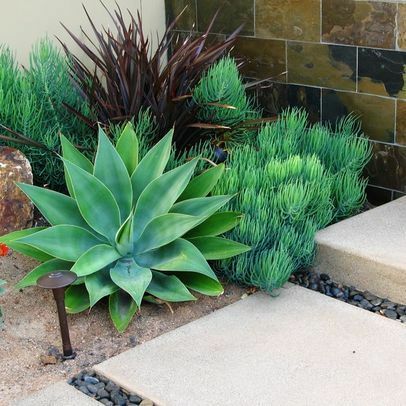 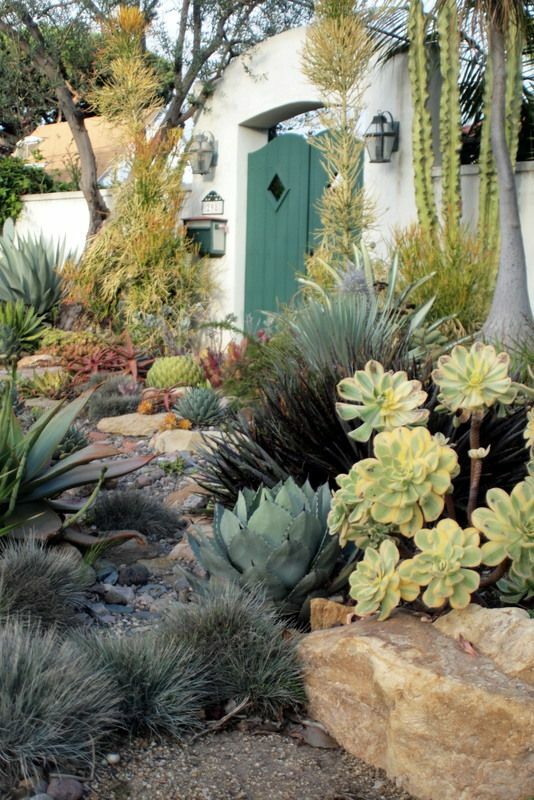 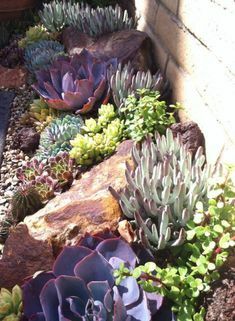 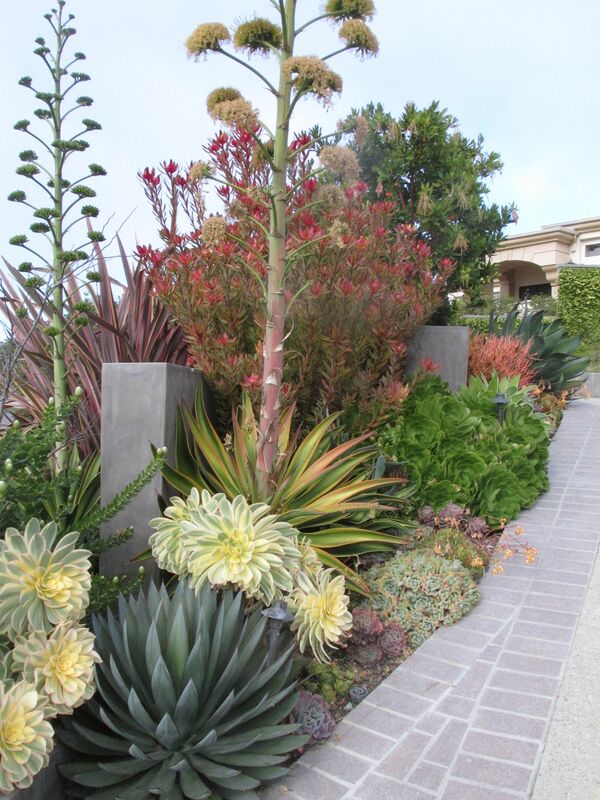 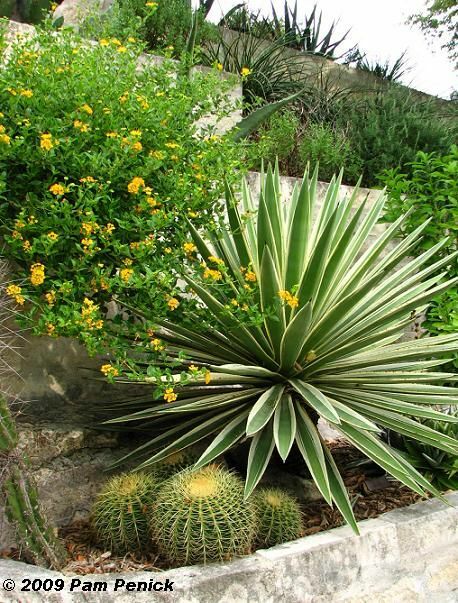 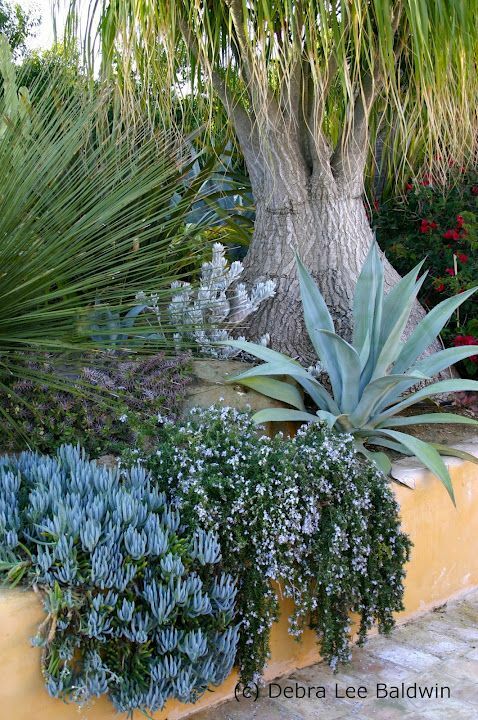 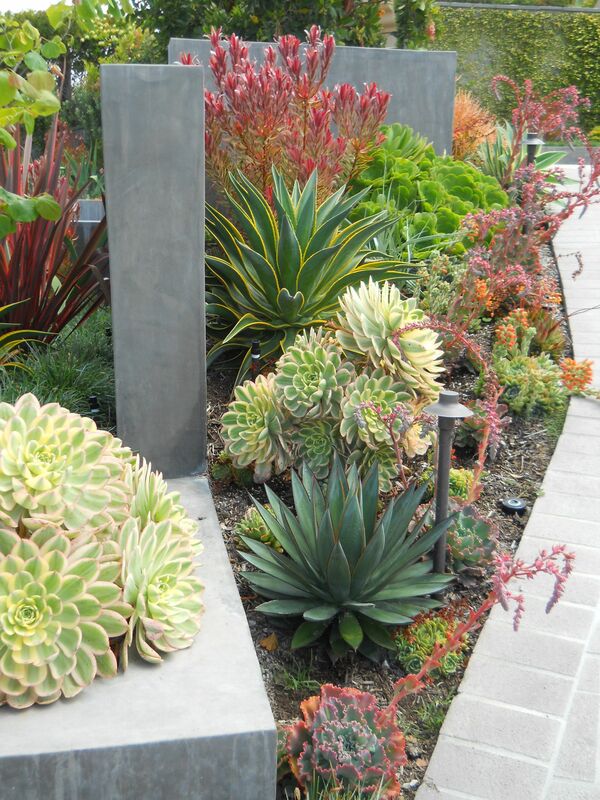 An Agave 'Blue Glow' in the foreground and a colorful Agave 'Joe Hoak' behind. 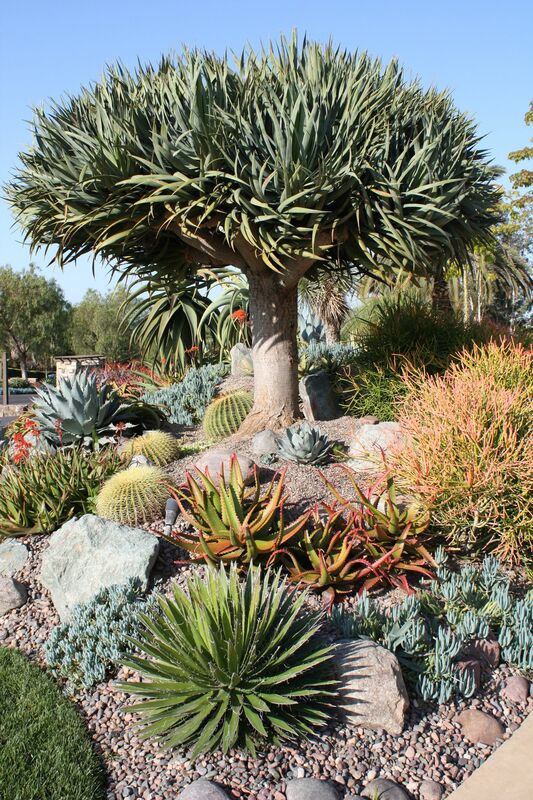 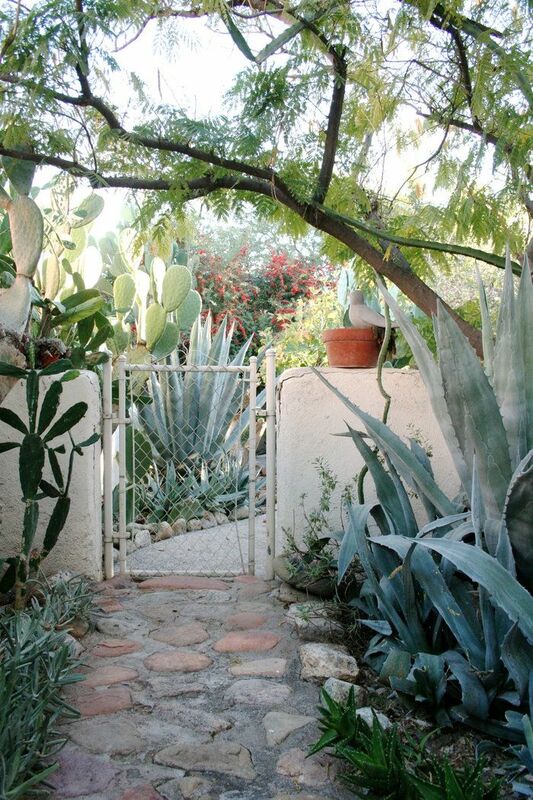 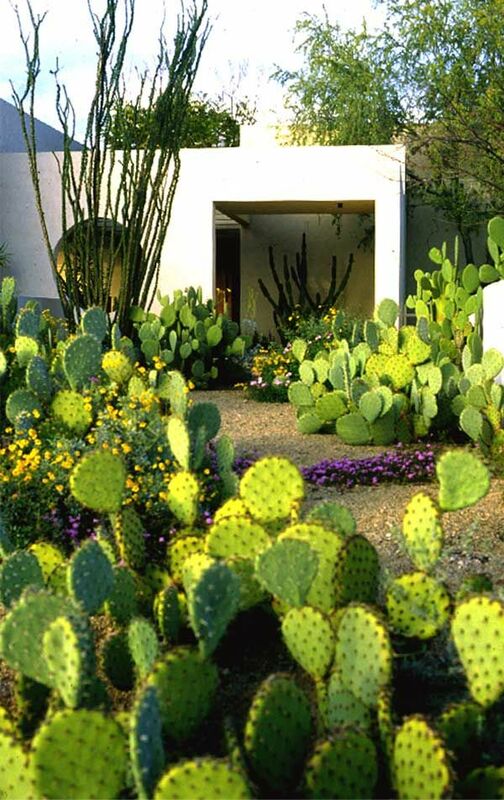 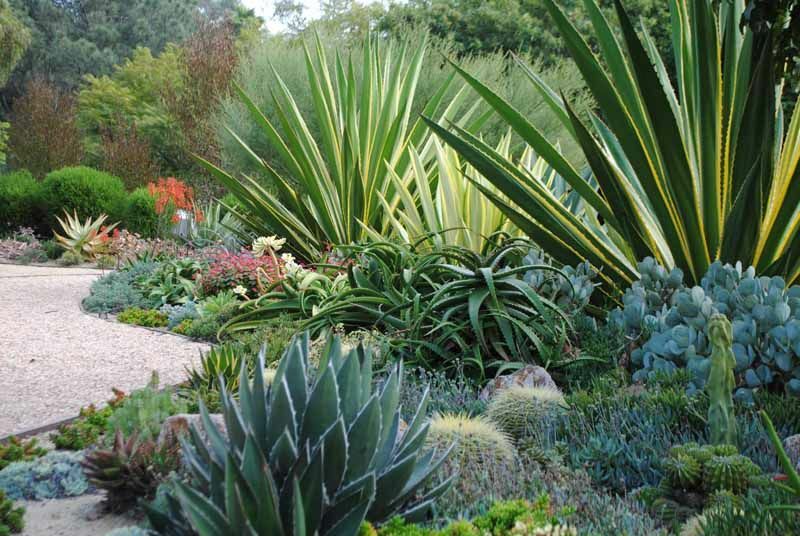 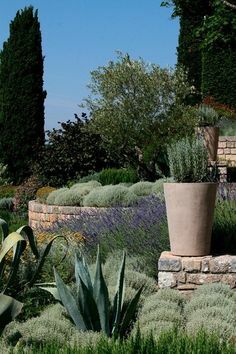 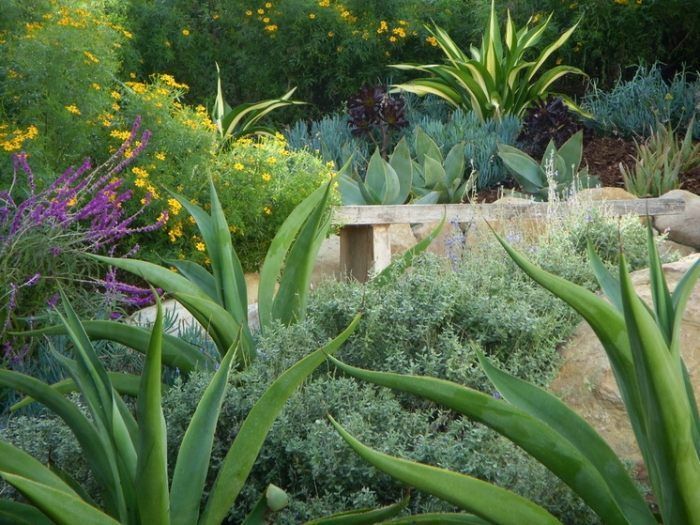 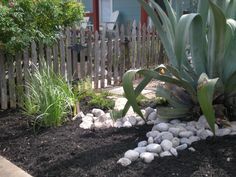 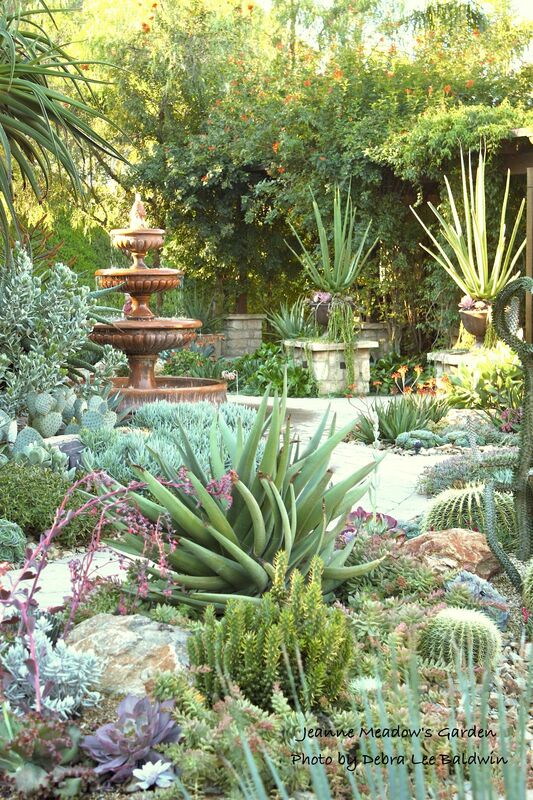 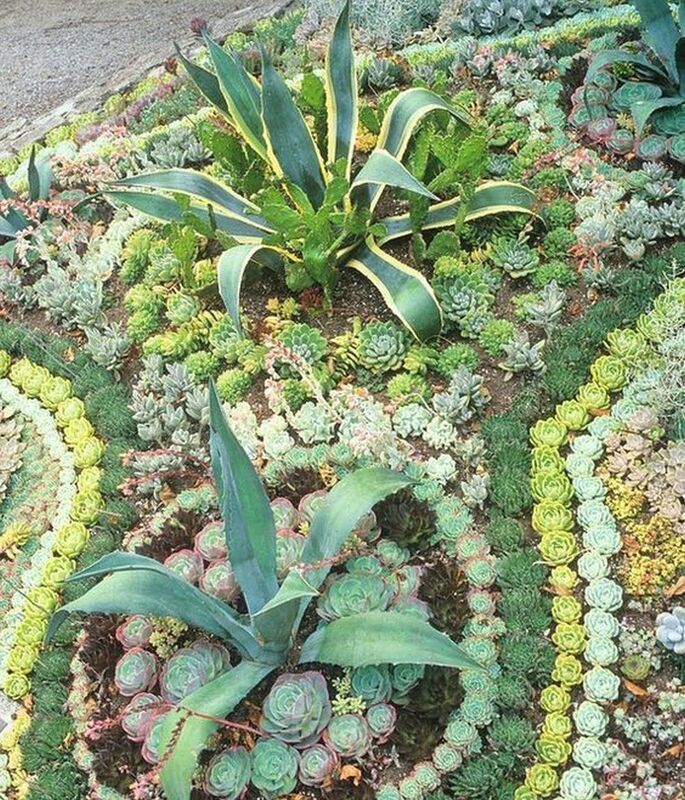 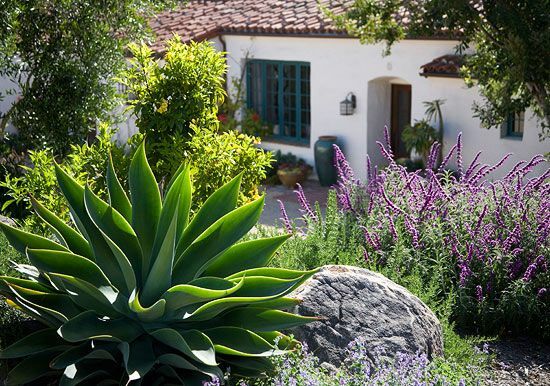 Jeanne Meadow's garden - Makes me think of some of our California Missions' grounds. 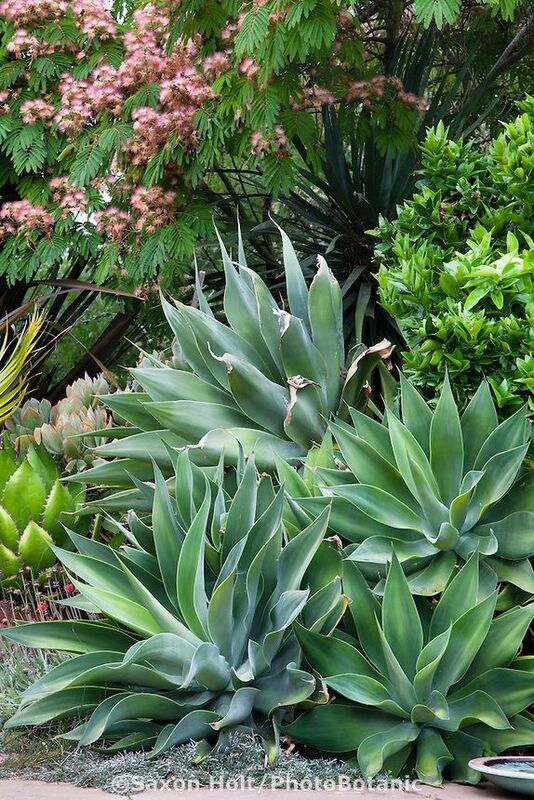 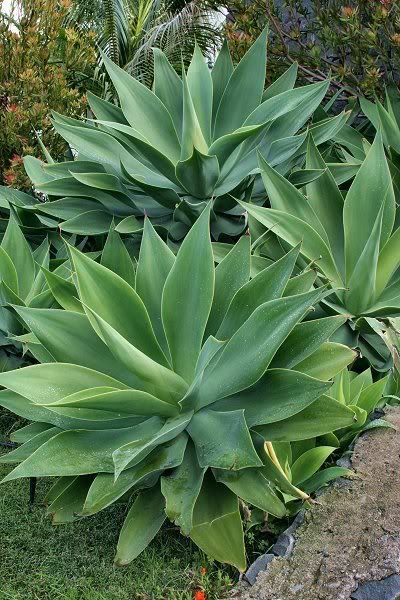 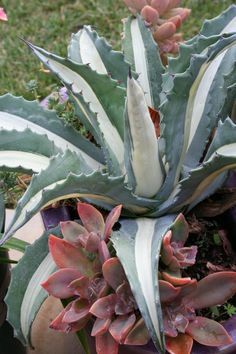 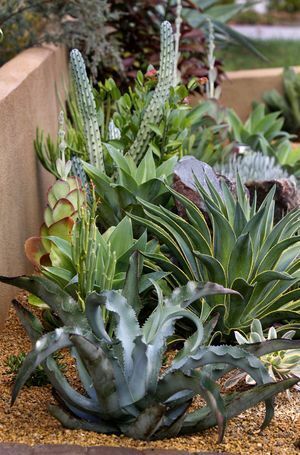 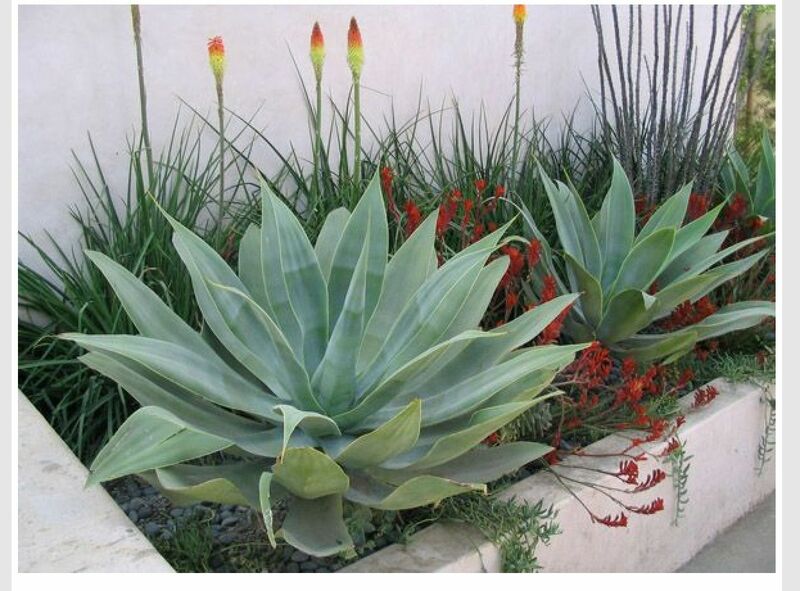 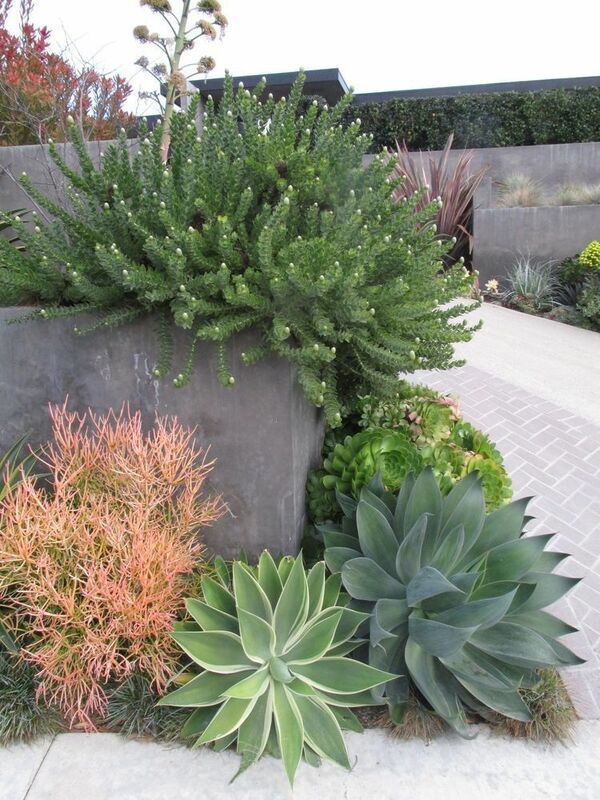 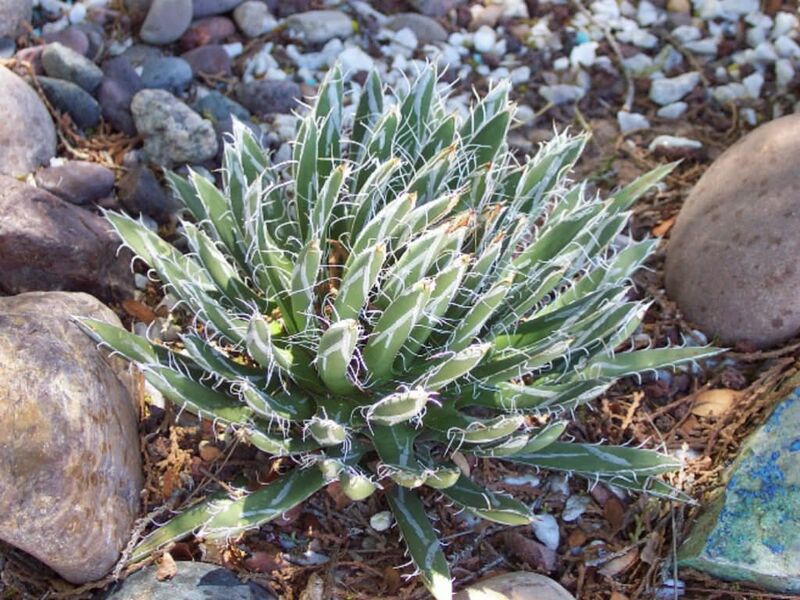 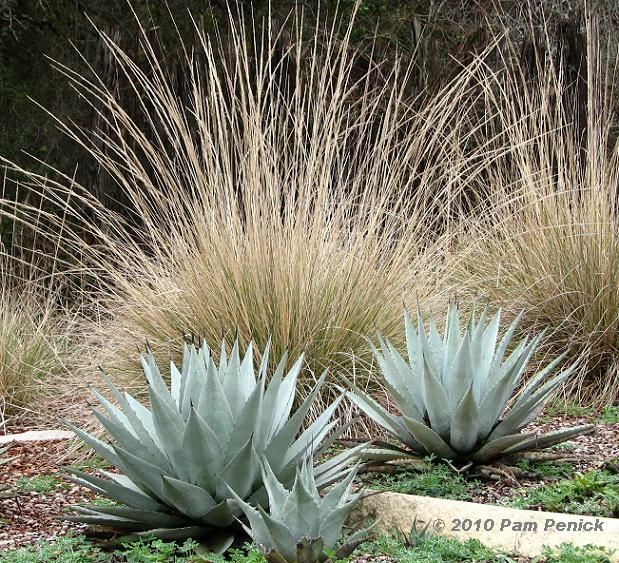 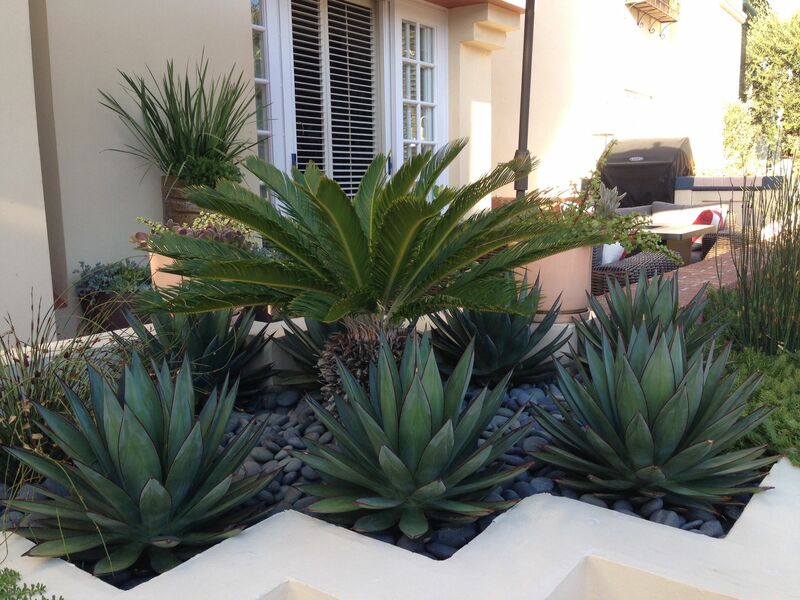 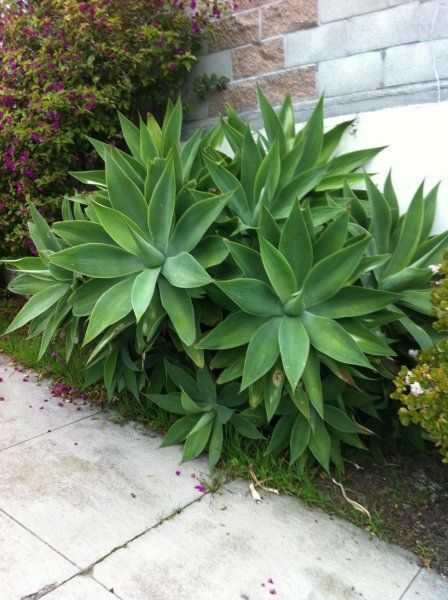 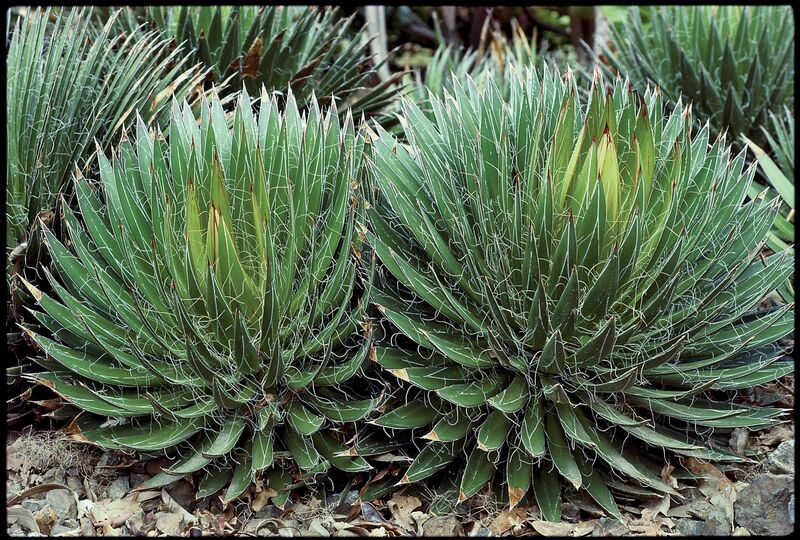 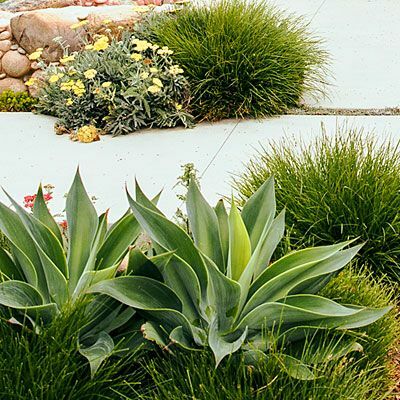 Agave attenuata...soft, lush growth and no spines, but it is frost tender. 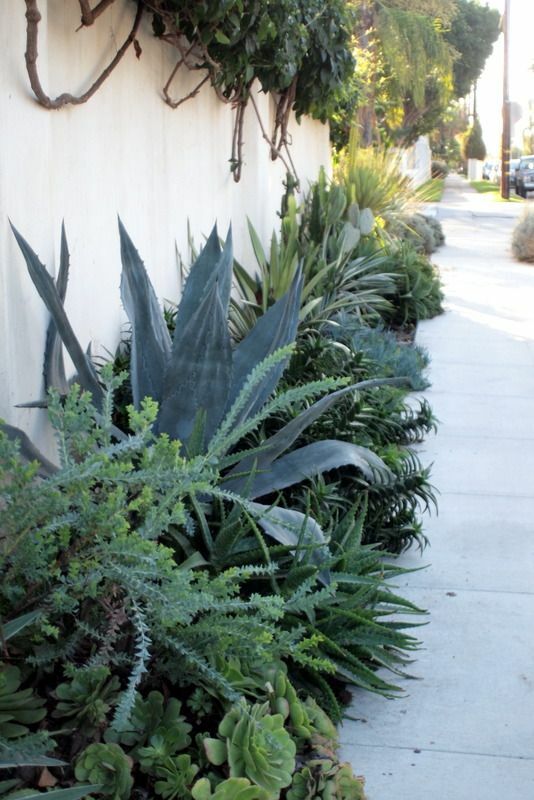 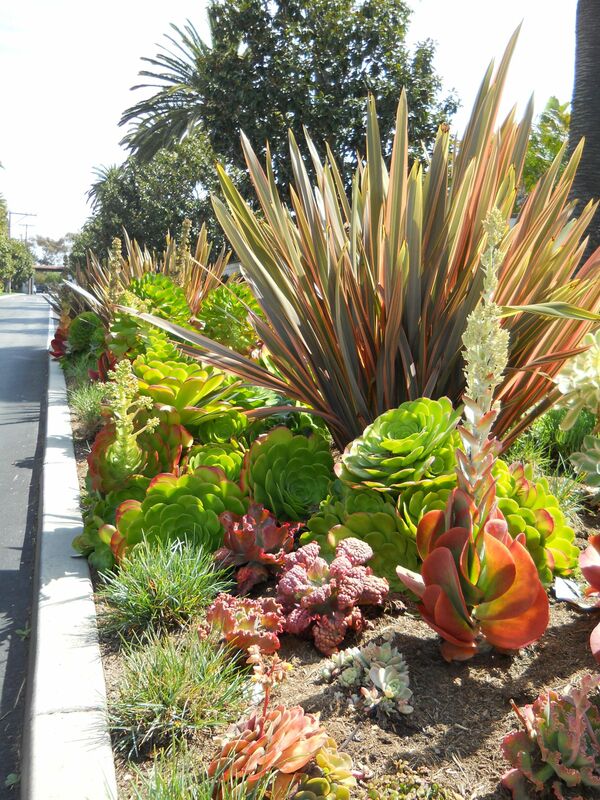 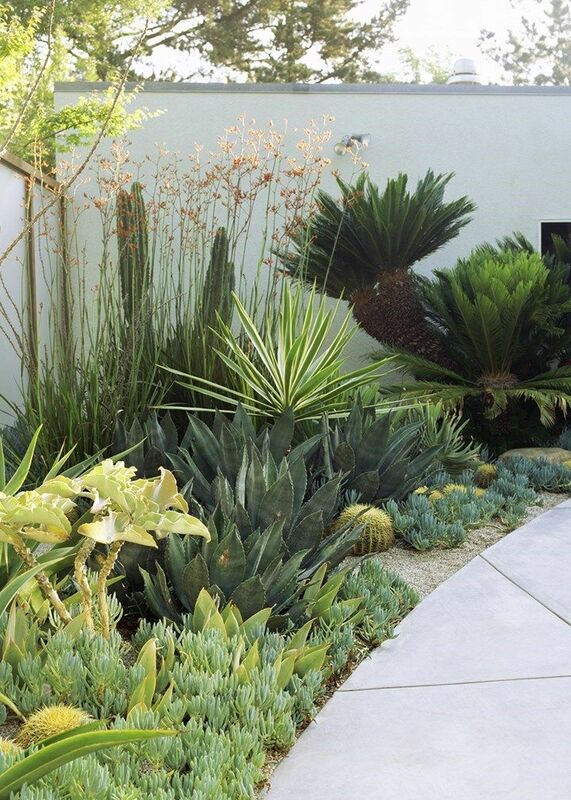 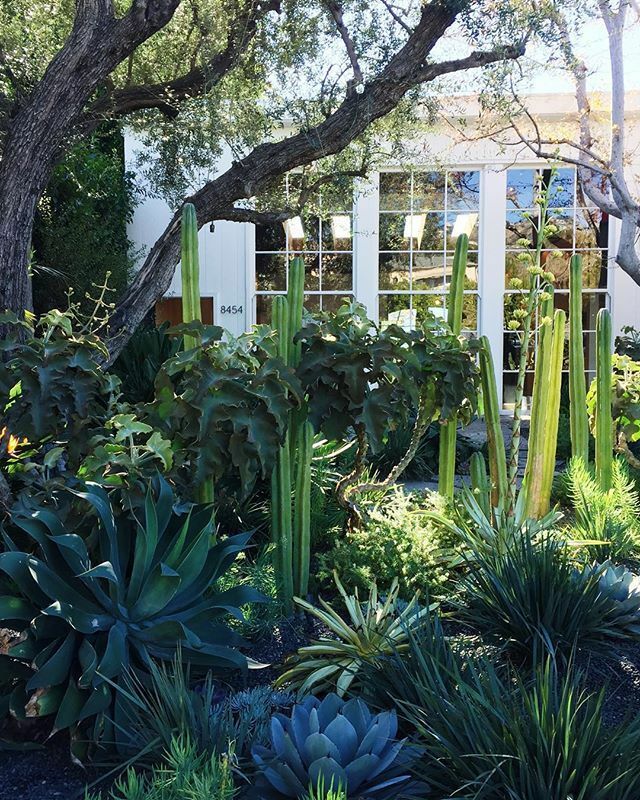 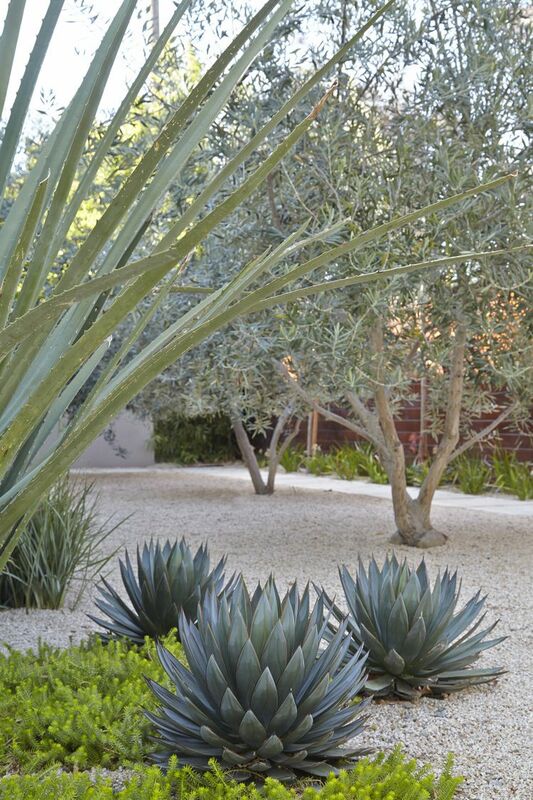 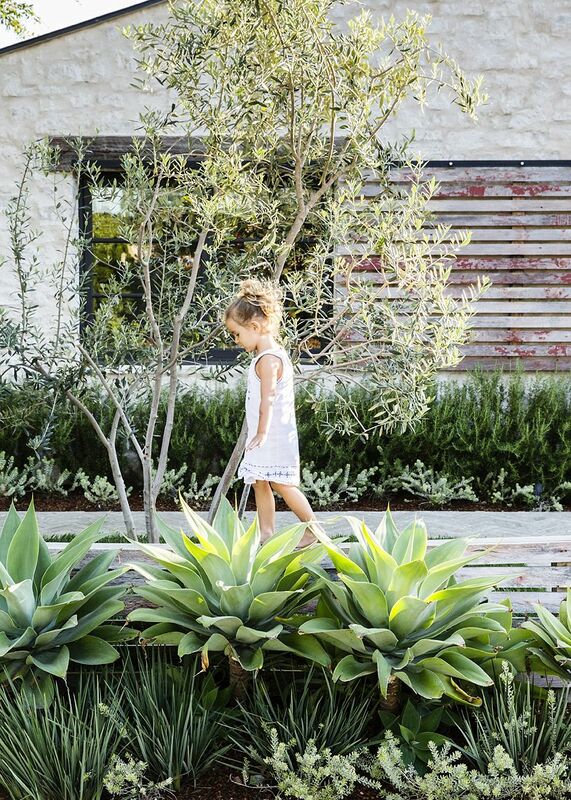 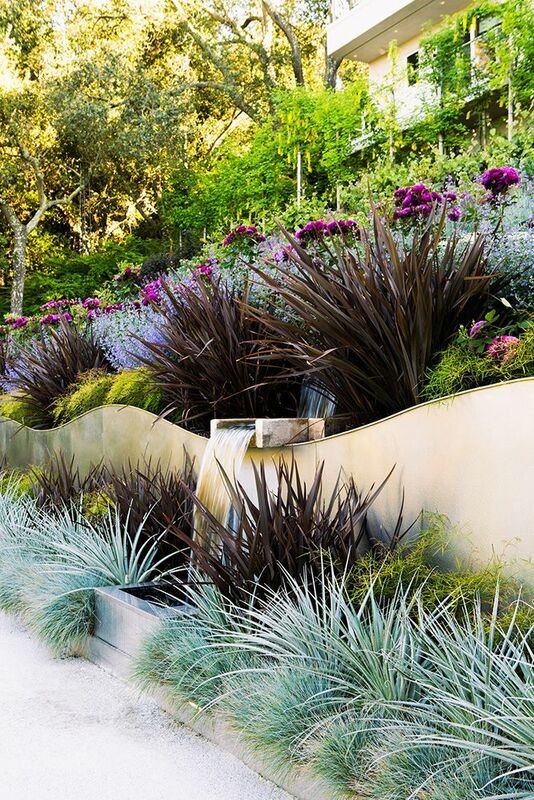 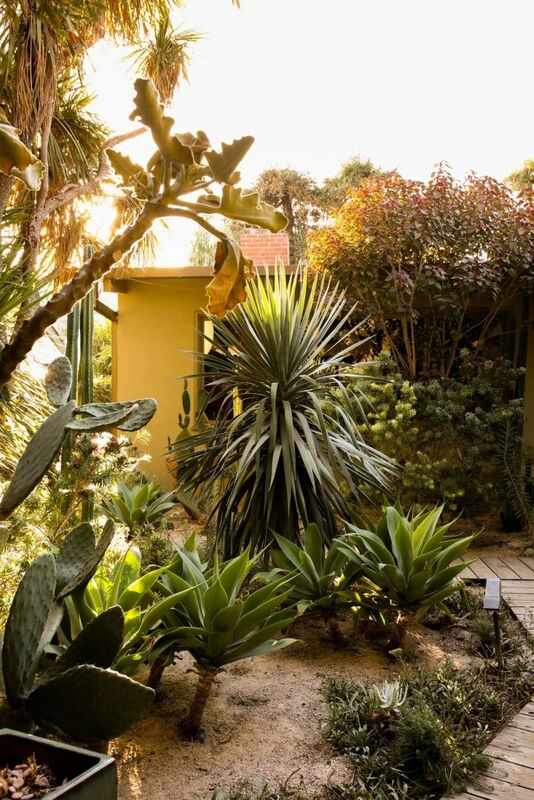 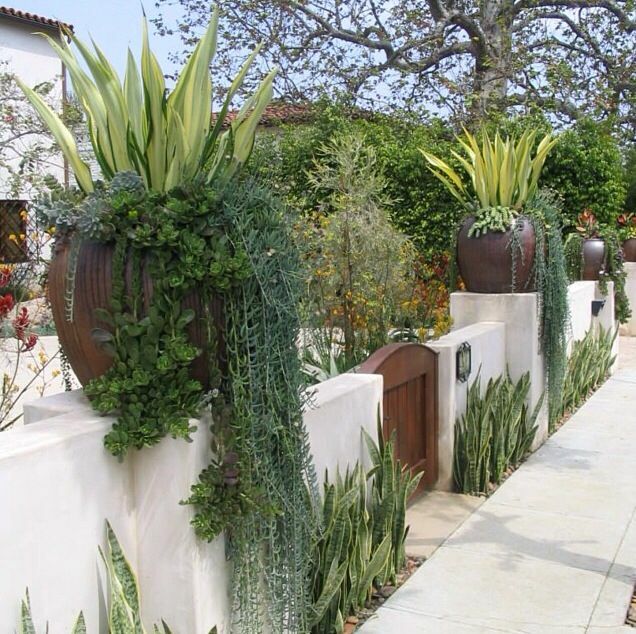 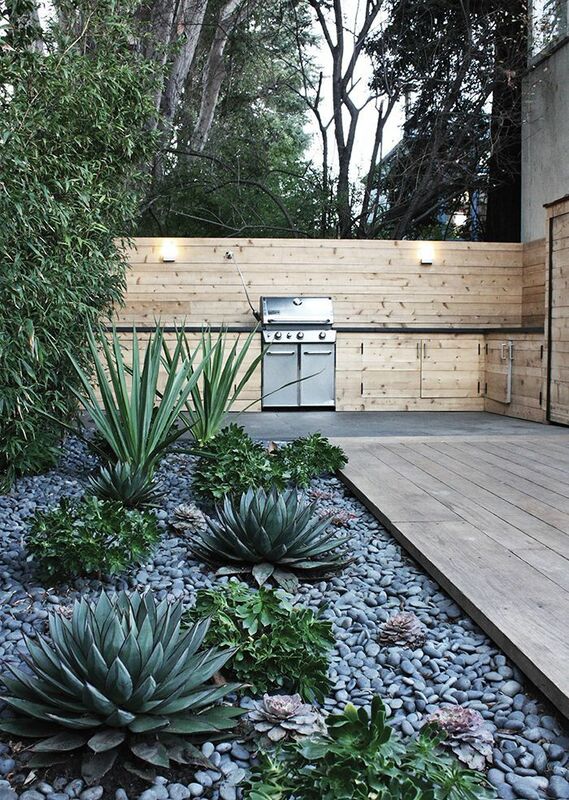 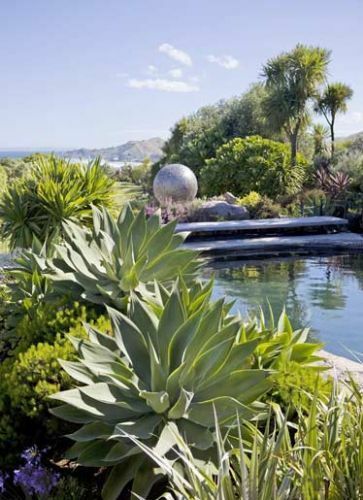 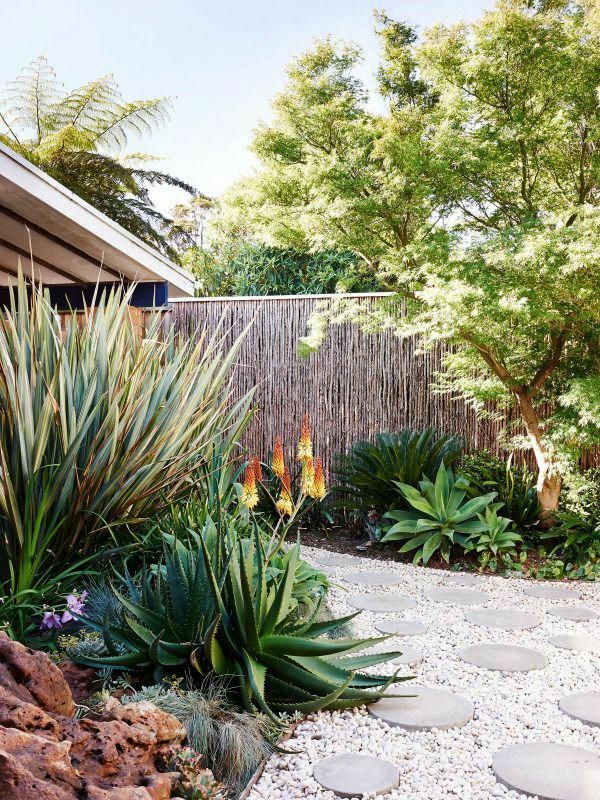 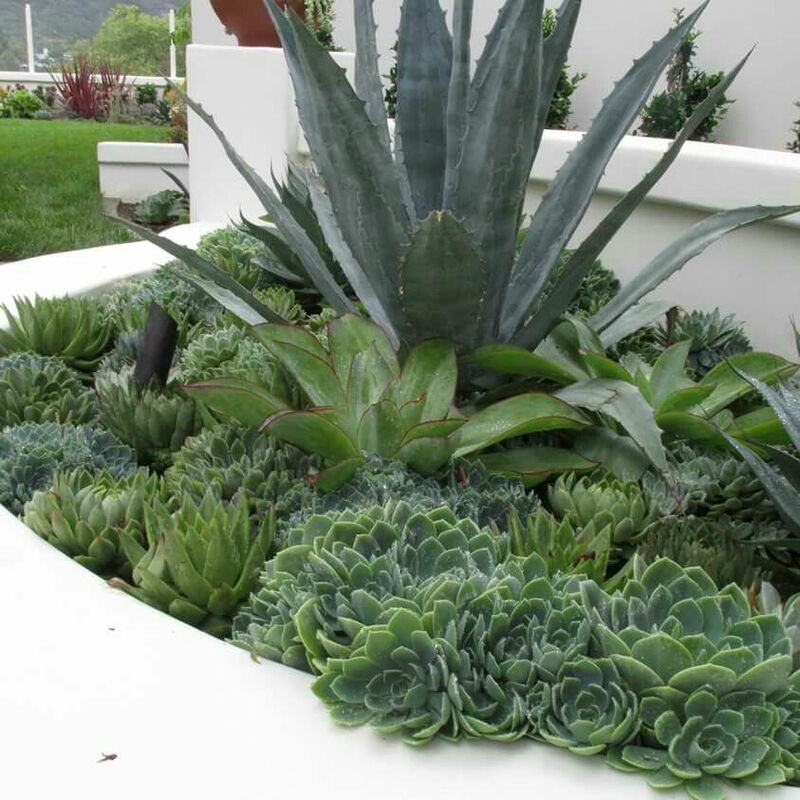 Best Amateur Garden Finalist in 2014 Gardenista Considered Design Awards. 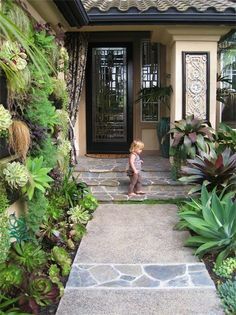 This is pretty! 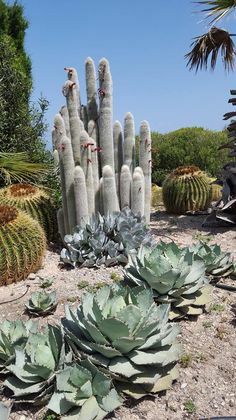 Too bad it's so dusty here. 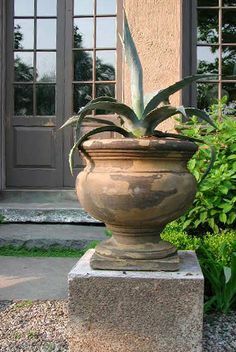 That would all turn brown in a heartbeat.